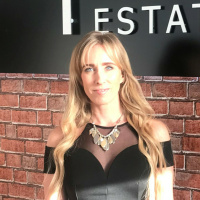 A Passion for Interior design and spending the last 30 years within a customer focused industry running my own business has given me an understanding of what our clients’ needs are from the First time buyers to larger investors . I strongly believe in helping both our sellers and buyers to visualise their new or existing property to see it not just as a house but a home through creative ideas to achieve a healthier and more aesthetically pleasing space. My other interest is health and fitness where I have achieved a 2nd and 3rd place within the natural bodybuilding bikini and figure categories receiving an invitation to the British Finals. Competing and training also take a huge amount of dedication and focus but thankfully having a supportive partner and very understanding proud children makes this at all possible.